Great article again, republished below, from Des O'Mahony at Bookassist on the need to look at all aspects of distribution for hotels. 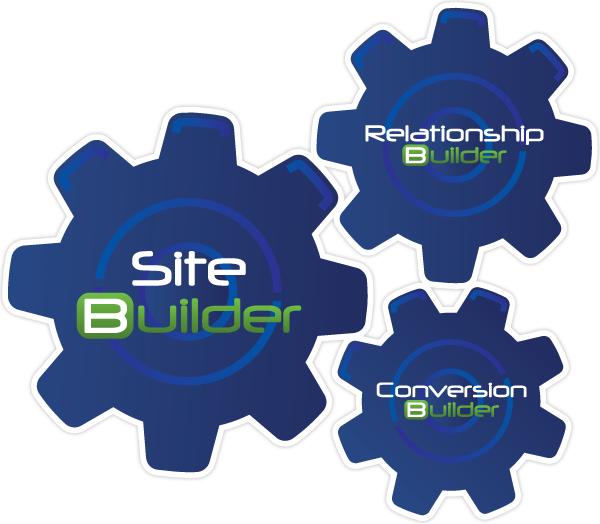 It's something we have been pushing with all of our clients with our SiteBuilder, ConversionBuilder and RelationshipBuilder Cogs each driving one another. Online Travel Agents (OTAs) do a really good job at shifting hotel rooms, albeit at a high commission. Hotels need OTAs for exposure and additional sales, but a balance must be struck between brand-direct bookings and those on OTAs. Is it ultimately worth the effort to keep pushing for direct business, once all the real costs associated with direct bookings are taken into account? Our answer is a resounding yes. But you need to spend wisely. Take for example a hotel group that Bookassist operates with in Europe. When Bookassist partnered with them in 2009, just 4% of their online business was coming directly through their website. Their website was a secondary concern, their booking engine was just a PMS web module, they had no digital marketing presence. Today, at the beginning of 2014, that group does almost 38% of its entire online business direct, a factor of ten improvement, and rising. Direct booking revenue has gone from a few hundred thousand Euro per year to almost €6M. This is not new business - this is redistributed business moved from OTAs to direct. On that redistributed business, they would have paid well in excess of €1M in OTA commission annually, but they now pocket the majority of that margin and can afford to reinvest significantly to continue direct growth. Same occupancy, same general ADR, but a whopping margin difference in their favour. The reason for their success is that they put direct booking strategy at the front and centre of their entire business strategy and stopped treating it as a peripheral issue. It's the focus. Bookassist Account Managers are also trained Revenue Managers and they are well versed in issues of ADR and RevPAR that hotels obsess about. However, as they point out, these metrics viewed in isolation tend to focus hotels on the revenue issue alone, while the real issue today is arguably margin. With the capability of OTAs today, achieving high occupancy is no longer so difficult if you’re prepared to pay. Achieving it with a good margin Per Available Room is another matter. The primary route to your hotel is still Search, and the path to purchase here has grown extremely complex. People are moving seamlessly from desktop to laptop to tablet to mobile while considering purchase. Additionally Google continually redefines its algorithms, so playing games is pointless. To get good organic search results positioning, you need real and dynamic content, lots of relevant connecting referrers, and you need to understand how web crawling works. In short, you have todeserve your position through relevance. This is a continually moving target. It takes work. Brand is an important aspect that you can cultivate to drive recognition online, and PPC campaigns for your hotel name are critically important. But by contrast OTAs have significant brand recognition. Even if your search result or advert successfully appeals, a click through gives your website just one chance to impress. By contrast, OTAs get multiple chances per click - they may use your name in advertising or organic positioning to deliver the click, but then the other hotels in the list with yours may look more appealing to the customer. This is why disallowing the use of your name in OTA advertising is so critical - its not that failing to do so might cost you more commission, it might actually hand the entire booking to your competitor hotel. It’s estimated that the top OTAs spend in excess of €100,000 each per day PPC advertising. How can you compete with that? Well, since they carry hundreds of thousands of accommodation providers, their average spend per hotel is quite low. So you can actually compete if you know how, without breaking the bank. This takes expertise and industry knowledge. The key to PPC success is to analyse, iterate, optimise - for all segments and all languages. It takes work. With the rise of Metasearch, hotels now have an additional opportunity to pitch for brand-direct bookings. It’s wise to take advantage of this avenue, particularly since it is being merged with online reputation and social media via TripAdvisor’s TripConnect metasearch and Google’s Hotel Finder, which is heavily influenced by the hotel’s Google+ page. Social Media and Reputation in the form of ratings continue to be critical in the formation of a positive brand. Both relate to a measure of engagement with your guest in one way or another. Good old fashioned customer service is the key to a successful online reputation, and all staff in your establishment need to be aware of and buy into the level of influence they exert on guest's feelings about their stay. All the work put into getting a customer to your website can unfortunately be quickly nullified. Your website must visually appeal instantly, with high quality photography, and the offer presented has to directly relate to the ad or link that generated the click-through. Apart from high quality responsivewebsites and mobile design to cater for the multi-device path to purchase, at Bookassist we employdeep linking in advertising and search results so that the exact attraction that tickled the customer in the advert or search is what is presented to the customer immediately on landing on the site. This coordinated approach requires dynamic website design and seamless data flow from booking engine, to website to online advertising. But operated correctly, it works effectively to eliminate barriers to booking. This is especially important on mobile where each additional tap is tedious and a real barrier. The days of just sending people from an ad to your website’s front page are long gone. The days of the booking engine just being an isolated page on your website is last century. Integration of all the elements is the key so that live booking engine data is available throughout your site creating dynamic information feeds and dynamic landing pages, and is actively feeding your advertising with live information. Conscious of credit card fraud, the pontential online customer must also be given a strong sense ofsecurity if they are to convert. Systems must not just be secure, but must advertise their security to engender confidence. Payment Card Industry Digital Security Standards (PCI-DSS) are an absolute must for your hotel's booking engine provider, and, like Bookassist, a provider should be able to provide certification documentation on request. Differentiation of product is also a conversion winner. Being able to offer better and more attractive deals than the OTAs is critical, notwithstanding price parity. For example, with Bookassist’s Booking Engine you can set up dynamic pricing that gives structured discounts based on length of stay, or day of arrival etc., resulting in overall pricing that beats the OTAs. The engine can also advertise the potential best available deal to a viewer, for example “stay one more night and get 30% off”, all of which not only encourage conversion but also improve the average booking value achieved. Also, using Bookassist’s meal plans feature allows the base rate for the room to be highlighted, while achieving up-selling for individual breakfast or meal plans once a room is actually chosen. Again, customer uptake on this is very successful, showing that while the low price generates the initial appeal, the relatively low additional price of the upgrade or add-on is also regularly achieved. Success with direct booking is great. But now you must grow it. One of the primary advantages is that the guest details are now yours, not the OTA’s. And they have already stayed with you so you should now know their profile behaviour. Maybe they book cheap but splurge on F&B. Maybe they always love midweek special offers. Follow up with them, personalise the relationship - is there anything you could have done better? Segment them, categorise, and market to them appropriately and with relevance. Not just blanket email shots that annoy everyone, but infrequent targeted offers with content that builds your brand appeal with them, triggers good memories and encourages future business. It takes work, and many hotels are not doing this well. As direct booking success grows, you can use tools like Bookassist's Distribution Manager to actively redistribute more availability back towards your own website, where margin is best. Preferentially shutting down high cost channels as your availability drops is a good strategy to maximise your margin. The idea that you would have 100% of your inventory available on all distribution channels at all times is not a good strategy, since it encourages take-up from high-cost OTAs and limits your capability to yield for margin optimisation. And again, the use of a good CRM strategy in-house to ensure you market to those guests who previously arrived via OTAs is critical. To use OTAs to get the guest once is fine, but if they go the OTA route again to book you then only you can take the blame for throwing away potential margin by not engaging appropriately with them. There is no doubt that there is a lot for hotels to do in order to succeed in building direct revenue and enjoy improved booking margin. The thoughts above only scratch the surface. And it’s daunting, because the goalposts keep shifting. While there is for sure a cost associated with all the elements discussed above, the overall cost per direct booking should still comfortably undercut OTA charges, with the added benefit of improved customer ownership for the hotel. The key to real success is a highly integrated approach across all fronts, not just a series of individual uncoordinated attacks in each area from different individuals or companies. Partners like Bookassist and others can bring unity of approach and economy of scale to bear, while individual hotels are rarely in a position to handle all the required elements themselves in a cost-effective way. Hoteliers, you should seek external expertise if you can’t cover everything in-house. After all, your focus should be elsewhere - you still have a hotel to run.